How forests cope with drought-induced perturbations and how the dependence of soil respiration on environmental and biological drivers is affected in a warming and drying context are becoming key questions. The aims of this study were to determine whether drought-induced die-off and forest succession were reflected in soil respiration and its components and to determine the influence of climate on the soil respiration components. We used the mesh exclusion method to study seasonal variations in soil respiration (R S) and its components: heterotrophic (R H) and autotrophic (R A) [further split into fine root (R R) and mycorrhizal respiration (R M)] in a mixed Mediterranean forest where Scots pine (Pinus sylvestris L.) is undergoing a drought-induced die-off and is being replaced by holm oak (Quercus ilex L.). Drought-induced pine die-off was not reflected in R S nor in its components, which denotes a high functional resilience of the plant and soil system to pine die-off. However, the succession from Scots pine to holm oak resulted in a reduction of R H and thus in an important decrease of total respiration (R S was 36 % lower in holm oaks than in non-defoliated pines). Furthermore, R S and all its components were strongly regulated by soil water content-and-temperature interaction. Since Scots pine die-off and Quercus species colonization seems to be widely occurring at the driest limit of the Scots pine distribution, the functional resilience of the soil system over die-off and the decrease of R S from Scots pine to holm oak could have direct consequences for the C balance of these ecosystems. Globally increasing drought-induced forest die-off and its associated vegetation shifts may have direct impacts on soil respiration. Here we found that soil respiration and its autotrophic and heterotrophic components remained unaffected 3–11 years following drought-induced Scots pine die-off. Despite this post-disturbance functional resilience the replacement of Scots pine by holm oak was associated with a strong reduction in the heterotrophic respiration component producing an important drop in total soil respiration. 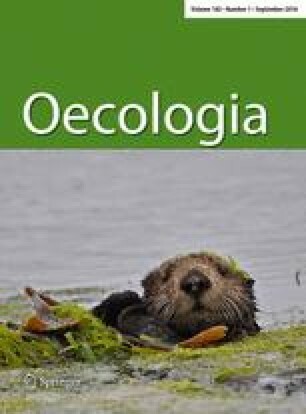 The authors thank I. Azcoitia, G. Barba, J. Estrada, I. Ourêlo, P. Pellicer and I. Urbina for their help in fieldwork and S. Vicca for her valuable comments. The insights from two reviewers helped to improve the manuscript. This study was supported by the Spanish government projects SECASOL (CGL2009-08101), DRIM (CGL2010-16373), VULGLO (CGL2010-22180-C03-03), SECADIN (CGL2012-32965) and VERONICA (CGL2013-42271-P); by the Government of Catalonia grants (2009-SGR-00247 and 2014-SGR-453); and by a Community of Madrid grant REMEDINAL 2 (CM S2009/AMB-1783). J. B. was supported by FPI (BES-2010-036558) and EEBB (EEBB-I-13-07002) scholarships from the Spanish Ministry of Economy and Competitiveness. J. B., J. C. Y. and F. L. L. conceived and designed the experiment; J. B., J. C. Y. and R. P. performed the experiment; J. B., J. C. Y., I. J. and R. P. analysed the data; J. B. wrote the paper and all authors edited the manuscript.